White House press secretary Sarah Sanders declined to comment on the prospect of releasing the full request, or other materials. The Justice Department declined to comment. Here's a look at what has been established by the releases so far and what questions might be answered by a new document dump. Strzok is politically radioactive for many Trump supporters, and if he is revealed to have been the "federal officer making application" in the documents, that will stain the investigation all the more in the eyes of critics. But did FBI agents follow Page physically to see where he went and with whom he met? 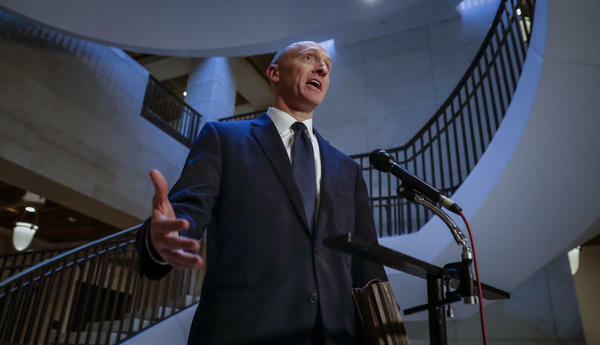 Did the FBI begin to conduct surveillance on other people based upon Page's activities or based upon leads generated by this work, suggesting that there might have been other FISA surveillance requests, too? What becomes clear is this surveillance wasn't the fiendish project of "biased" officials going fishing in order to target Trump. Instead, the request shows that officials in the FBI and Justice Department renewed the request for surveillance on Page three more times, including after Trump was inaugurated.